Wandsworth Swimming Club is based at Putney Leisure Centre in West London. The Club has over 180 swimmers from 6 years to 18. The Club aims to be one of the best competitive swimming clubs in West London. It has existed for over 100 years and achieves a good mix of fun, enjoyment and hard work in our endeavour to make our swimmers the best that they can be. The Club currently swims in the First Division of the London Arena League and selected open meets in the area. We operate 89 hours of water time per week across our 8 squads. 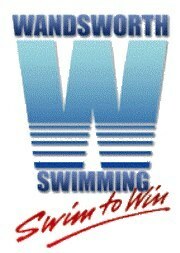 The Club is Swim 21 accredited and has introduced talent pathways across all the squads. It has done this to foster a life long participation in swimming for all its athletes and to provide a mentoring system to maximise its swimmers’ potential. ¨determine the swimming programme and content for one or more of its competitive squads ¨plan and deliver individual coaching sessions appropriate to the ability of the participants. The position is self-employed and coaching experience with an ASA Level 2 coach qualification essential. A full extended CRB check and a Safeguarding and Protecting Children certificate will be required. Hourly rate will be commensurate with qualifications and experience.